This photo is of the old Montgomery Wards shopping center in Pleasant Hill, and if you look closely at the sign on the freeway, you can see it says “24 Concord Pittsburg”. That highway is no longer Hwy.24, it’s now Hwy.242. Click on the photo for a much larger view. 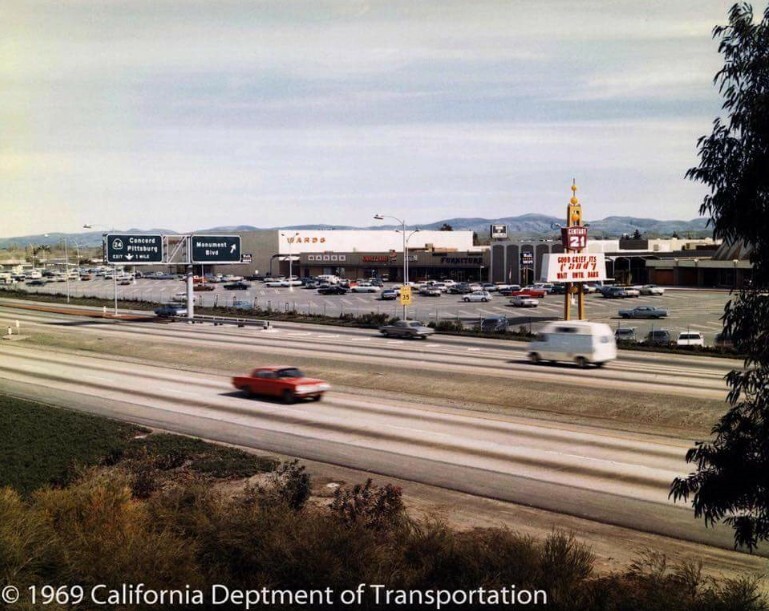 photo: California Department of Transportation via Mark Harrigan with 680/24 Corridor History group on Facebook. If you have any old photos or items that you’d like to place in the Claycord Online Museum, just scan or take a photo of them, and send them to the following address: news@claycord.com. It doesn’t matter what it is, even if it’s just an old photo of your house, a scan of an old advertisement or an artifact that you’d like us to see, send it in and we’ll put it online. Click on the tag below titled “Claycord Online Museum” to view other items. State Route 24 is three miles long and became State Route 242 in 1987. The transition from Hwy 24 to 242 confused me a bit when I moved here in 1996 because I remembered it as Hwy 24 from visits back in the 70’s and 80’s! Several people I met once I moved here hadn’t been here that long and they all thought I was making it up!! Remember Gramma and Grandad loading me into their 55 chevy and telling me we were going to “Monkey Wards” guess that would be considered offensive now days it wasnt’ in the 50’s and 60’s. This Montgomery Wards location was the top store in the East Bay for sales and profit back in the day. Ah, the good ole days! I see a grand total of 4 cars on the freeway and it’s the middle of the day. I still miss the domed theater from that complex. The lack of traffic makes me fondly nostalgic. @MoJo … haha… that’s exactly what I was thinking. Actually I was thinking it was probably rush hour. This was the Concord I grew up in … such a great town back then. So many kids in the neighborhoods, great stores, etc. Yesterday, as I sat in unending traffic in That same stretch, I had memories of when all our freeways easy and quick anytime of day. 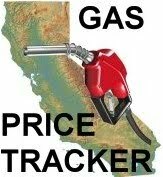 it’s scary this only going to get even much worse! Best popcorn in the world and an old fashion candy counter. When I was a kid use to go with my Dad to “Monkey Wards” to buy tools and hardware and always got a bag of popcorn to go. I thought I was the only kid who called it Monkey Wards! I never knew it had any other name until much later in life. I did get dragged there as a kid but I don’t believe I ever bought anything there. I do remember peeking into the bar next to the dome and wondering whose idea of fun was that? Gotta say it….I miss the old days. I feel sorry for those who didn’t have the chance to live in the era of less stress, less rudeness, less of a rat race.